Play the "Strix Matching Pairs" game by flipping over and match cards with identical images to create pairs. Correctly answer a simple question at the end of the game. Log in with your Facebook account to view your scores and ranking. If you rank in the top 50 on the Weekly Rank or Overall Rank, you will have a chance to win a prize. 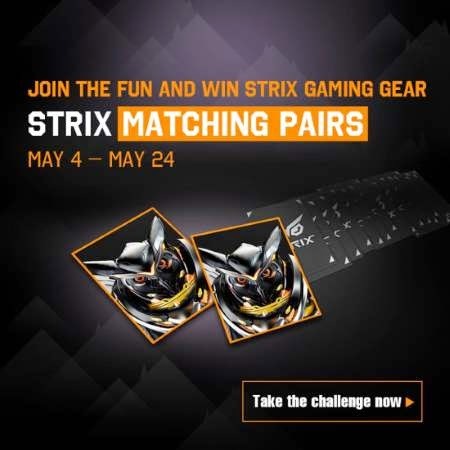 Visit "Strix Matching Pairs" game's website for more details.